This entry was posted in Whose Kafka? 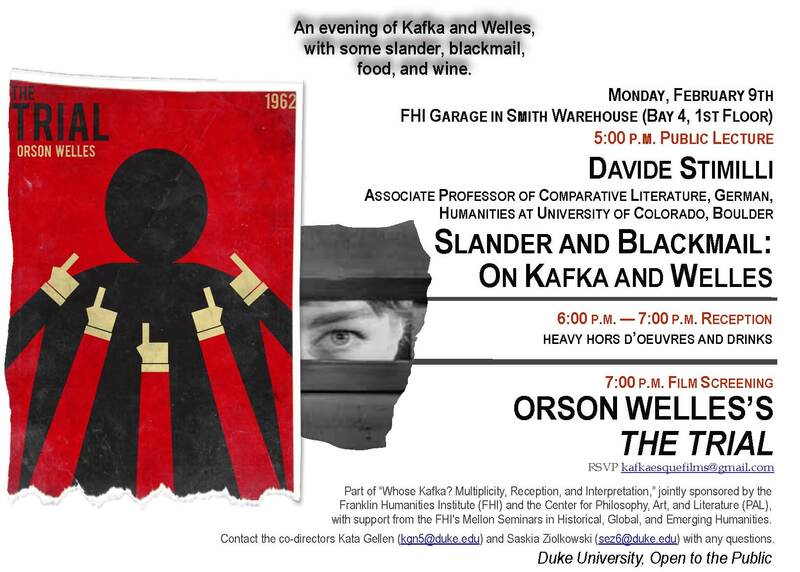 and tagged "Center for Philosophy, Davide Stimilli, duke university, FHI, film screening, Franklin Humanities Institute, Franz Kafka, orson welles, the trial by SEZ. Bookmark the permalink.